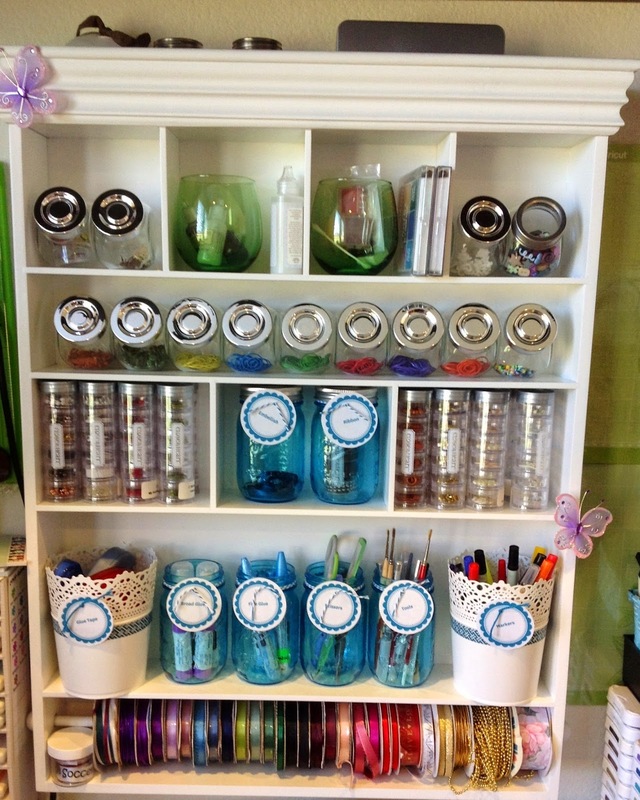 I keep my smaller glues and tools front and center in my Blue Jars. 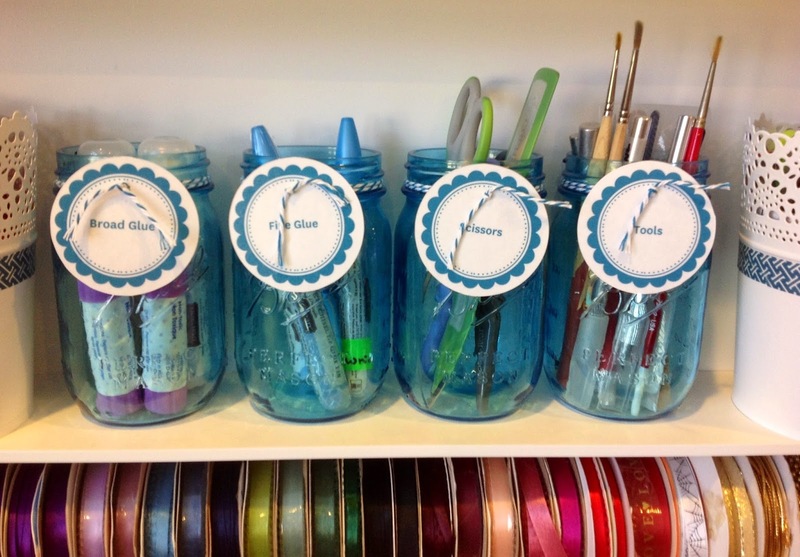 The cute jar labels came from the Better Homes and Gardens website. 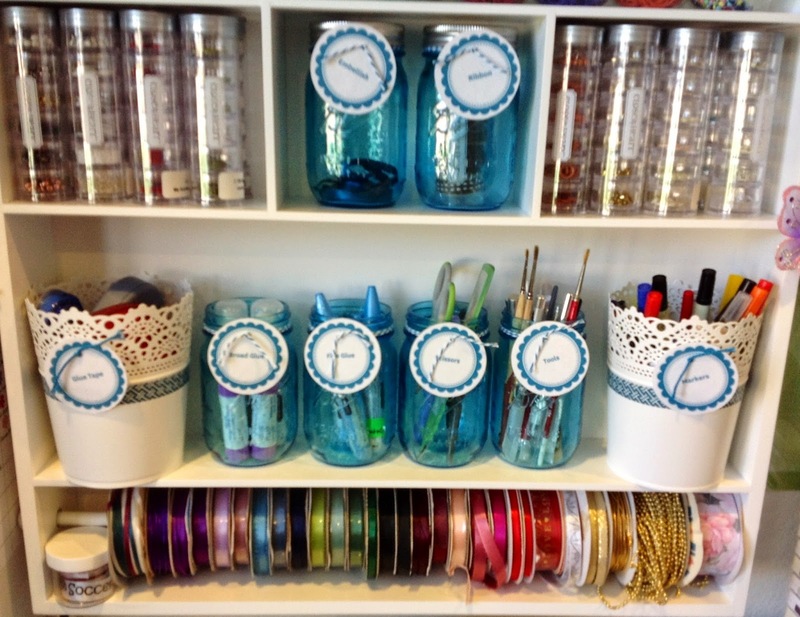 I printed them in the blue color that I wanted and then laminated them before cutting out and attaching to the jars with coordinating Baker’s twine. 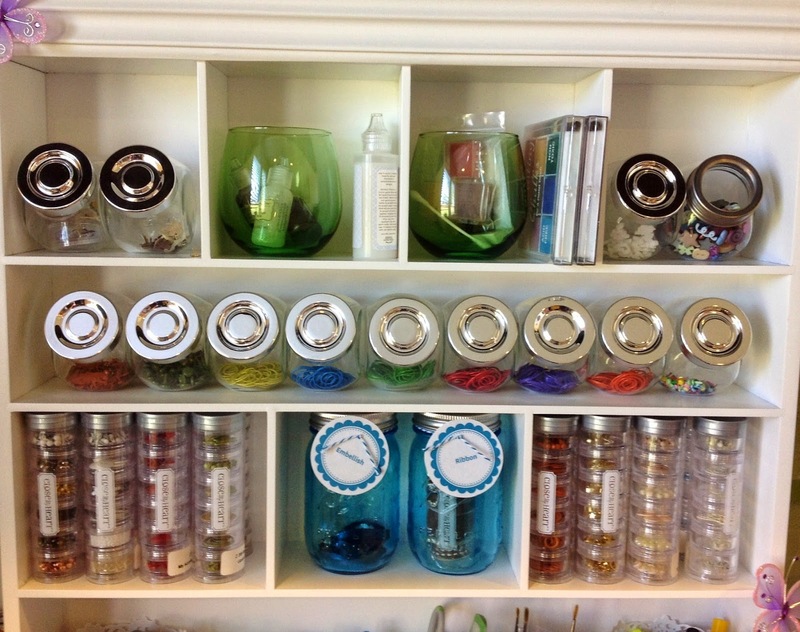 More organizational eye candy… although the contents of those green jars on top could use a make-over. 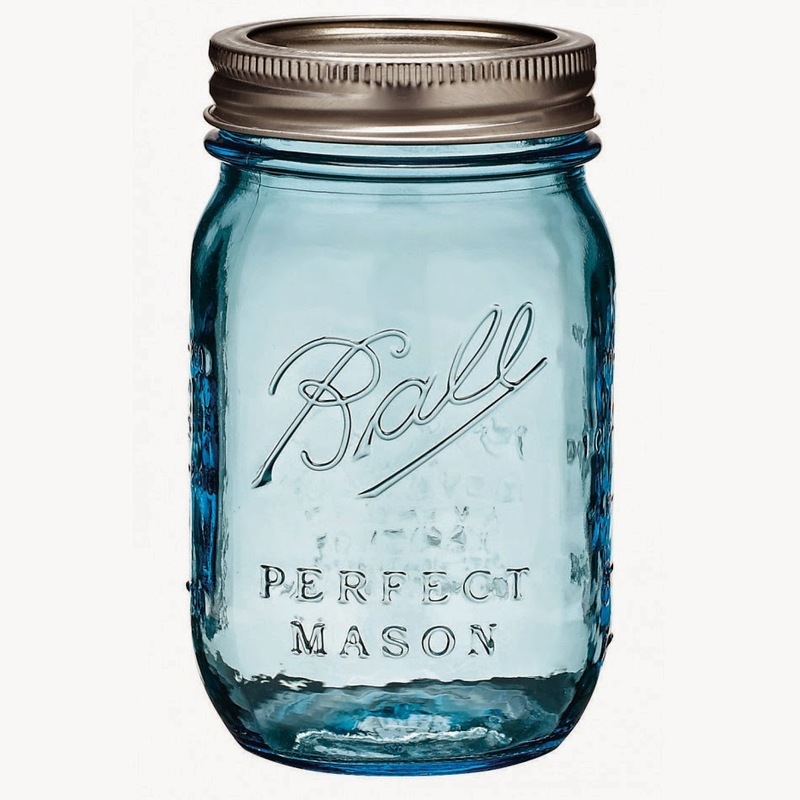 Ah, beautiful Blue Masons. 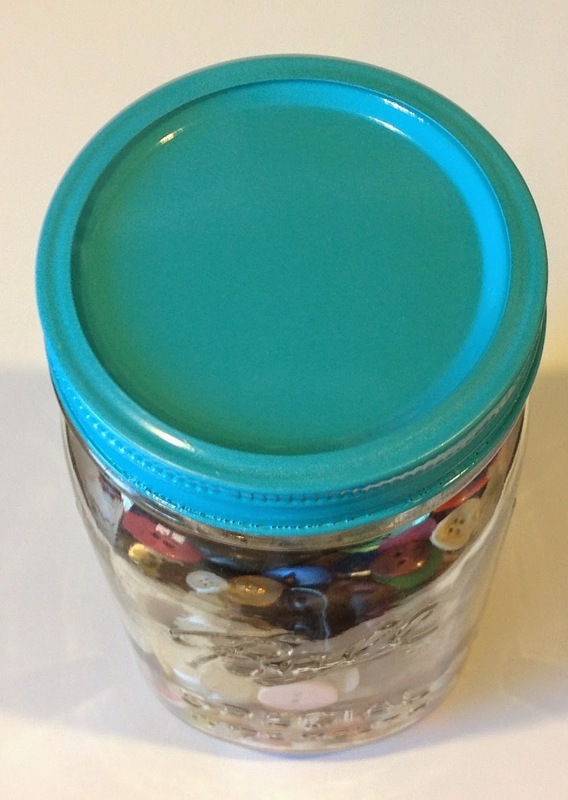 No lids required. 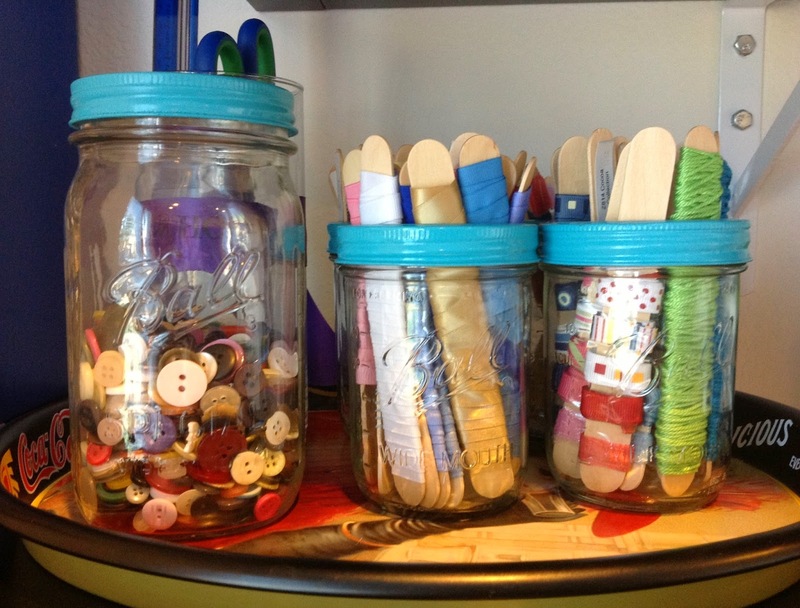 I also have regular Mason Jars that I use throughout my craft room for additional storage, which I will share in another post. 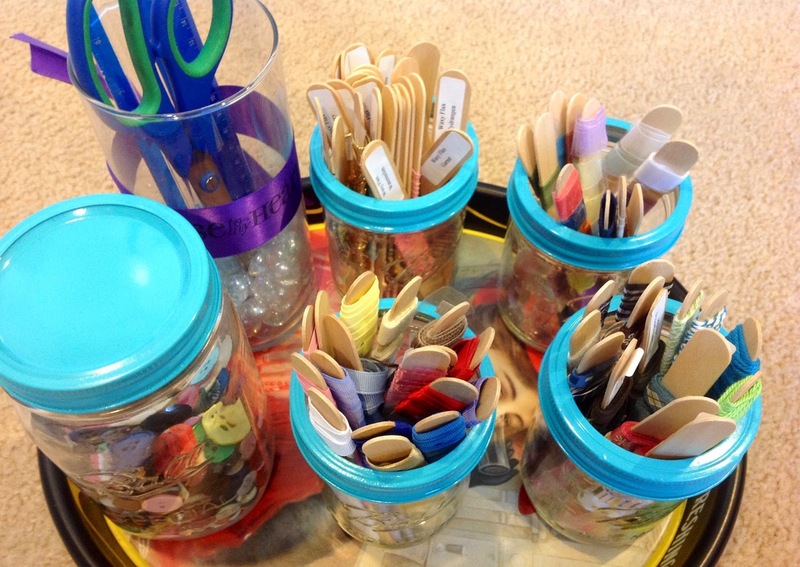 Now, go and grab your granny’s old jars, or purchase some new ones and get busy organizing your craft supplies!